After Pokemon Go has been released last summer, it became hot again while Niantic rolled out 80 more Pokemon for players to capture and some new different game mechanics. This week, the game developer add more content to celebrate the "Pokemon Day". Pokemon Day is intended to be a celebration of the day in 1996 that the first Pokemon games came out in Japan. Yes, it's a marketing gimmick, but it's a gimmick that's tied to a much-beloved franchise. In addition to Pokemon Go, the celebration will extend to the Pokemon website, Pokemon Trading Card Game, and more. 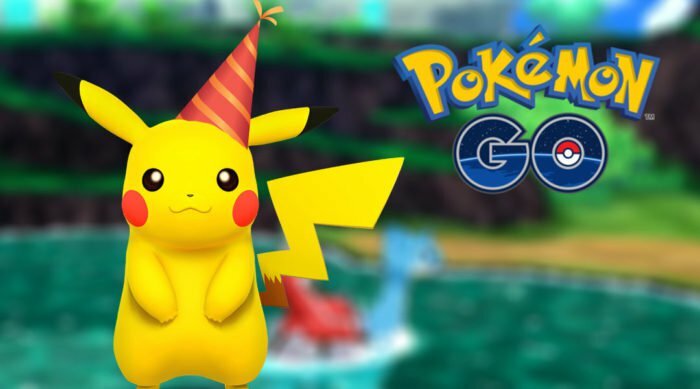 In the "Pokemon Day" next week, there will be Pikachu running around the game wearing "festive party hats." The party hat Pikachu will be available in Pokemon Go from February 26 at 1:00 pm PST to March 6 at 1:00pm PST. You'll come across Pikachu in Pokemon Go that are wearing party hats. If you catch one, the hat remains forever, even if you evolve them into Raichu. If you want to catch one, you'll need to stroll around in search of Pokemon during that time. And remember that once you need pokemon go account or rare pokemon, come to our site.